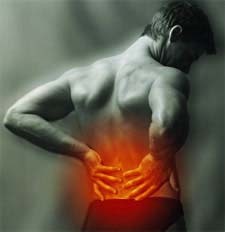 Robin McKenzie, a physical therapist in New Zealand, developed his Method in the 1960’s. He noted that extending the spine could provide significant pain relief to certain patients and allow them to return to their normal daily activities. Here’s what we know about the McKenzie method for low back pain from a recent review of the literature. It’s so bad that she canceled her concert tour. Dr. Scott Kinkade from University of Texas Southwestern Medical School in Dallas has reviewed all the options in American Family Physician.